Apakah menjadi ITIL Expert berharga ? PLEASANTON, Calif. - March 5, 2014 - ManageEngine, the real-time IT management company, today announced that the standard edition of its flagship IT help desk software, ServiceDesk Plus, is now available for free - with no restrictions, regardless of whether software runs in the cloud or on premise. Previously, ServiceDesk Plus Standard Edition was free for up to five technicians/agents. The move slashes IT help desk expenses for the 60,000+ companies that have already implemented ServiceDesk Plus Standard Edition and invites other companies to do the same by adopting the ManageEngine solution. An online demo of ServiceDesk Plus is available athttp://demo.servicedeskplus.com/. With more than 750 help desk solutions available in the market, organizations find it difficult to choose help desk software that meets both their feature and financial needs. If they do find a solution that meets their feature and budget requirements, it often comes with restrictions or limitations based on the number of supported technicians, agents, tickets or users. In response, ManageEngine becomes the first vendor to offer a fully-functional, IT help desk free of charge, with no restrictions on the number of agents, tickets or end users or on the amount of cloud storage supported. ServiceDesk Plus Standard Edition comes with full-fledged ITIL incident and knowledge management functionalities, including extensive reporting and dashboard capabilities that cover the full life cycle of IT help desk tickets. "ManageEngine has always believed in changing the game in IT management software," said Raj Sabhlok, president, ManageEngine. "Last year, we made ITIL affordable for all businesses at just $995. This year, we've made the standard edition of ServiceDesk Plus free so that all enterprises, big and small, can start following an organized process of ITSM in their organizations. This is not just 'another help desk software.' It is one of the best in the market with loads of thoughtfully built features." ManageEngine takes its gloves off and gives ServiceDesk Plus, the help desk software used by over 83,000 organizations across 186 countries in 29 different languages, at no cost. ManageEngine customers can now make use of as many agents, as many users and as many tickets as they want, for as long as they wish, at zero subscription cost! Today's announcement is particularly beneficial to IT managers who find themselves bound by help desk restrictions and want to break free from those shackles and take IT service management to the next level. Similarly, offering ServiceDesk Plus Standard Edition for free opens doors for organizations that have not yet adopted standardized ITSM processes. With the help desk sitting at the core of ITSM, ManageEngine makes it possible for every organization, big or small, to have a world-class help desk and to take the first step towards organized IT. In fact, this is a giant leap for IT as more than 60,000 organizations that have already adopted the standard edition of ServiceDesk Plus get to slash their IT budgets this year. ServiceDesk Plus Standard Edition is available immediately and free forever. Annual maintenance/support contracts (AMCs) may be purchased separately. Visit http://www.manageengine.com/products/service-desk/free-it-help-desk-software.html to see what's available in the free edition. For more information on ServiceDesk Plus, please visit http://www.servicedeskplus.com/, and for more information on ManageEngine, visit http://buzz.manageengine.com/. Follow the blog at http://blogs.manageengine.com, on Facebook at http://www.facebook.com/servicedeskplus and on Twitter at @ME_ITSM. ServiceDesk Plus is comprehensive help desk software with integrated asset and project management capabilities built on ITIL framework. ServiceDesk Plus is trusted by more than 83,000 companies across 186 countries and is available in 29 different languages. With ServiceDesk Plus, IT organizations can leverage ITIL processes while unifying their help desk, asset management and project management activities in a single pane of glass. For more information about ManageEngine ServiceDesk Plus, visit www.manageengine.com/servicedeskplus/. ManageEngine delivers the real-time IT management tools that empower an IT team to meet an organization's need for real-time services and support. Worldwide, many established and emerging enterprises - including more than 60 percent of the Fortune 500 - rely on ManageEngine products to ensure the optimal performance of their critical IT infrastructure, including networks, servers, applications, desktops and more. ManageEngine is a division of Zoho Corp. with offices worldwide, including the United States, India, Japan and China. For more information, please visit http://buzz.manageengine.com/; follow the company blog at http://blogs.manageengine.com/, on Facebook at http://www.facebook.com/ManageEngine and on Twitter at @ManageEngine. In addition to the 1401 standard, there is an associated guideline, 2401 (G20), which expands a bit further on the standard and provides additional considerations for audit result reports. A good audit report tells the reader the severity of the issue(s) and provides an appropriate recommendation for correction of the issue(s). Document interviewees and their scope of responsibility within the audit. Even if the report is written with nonattribution, it is important that you have evidence that the person or persons who supplied information are the correct, responsible and accountable parties. It takes a lot of practice to write clear, concise and actionable audit reports. The audit report is the most important product of any audit assignment and must convey the results in order to provide the organization with a basis for action to change or improve its processes. Keeping these standards, guidelines and considerations in mind will go a long way toward improving the effectiveness of the reports. Editor’s Note: ISACA’s Professional Standards and Career Management Committee is working on a project to provide more guidance for reporting on audit issues. This guidance is scheduled to be issued in April 2014. Lisa R. Young, CISA, CISM, is the past president of the ISACA West Florida (Tampa, Florida, USA) Chapter and a frequent speaker at information security conferences worldwide. Mengapa perusahaan perlu helpdesk atau customer support ? Banyak perusahaan Indonesia sekarang merasakan pentingnya untuk memiliki helpdesk (internal) dan customer support (external). Berikut alasannya. The Window into IT ServicesThe Service Desk is the window into IT Services. When things go wrong on the Service Desk, the organisation’s perception of value to the business that the IT department delivers can suffer and, more importantly, the reputation of the people managing IT Services will also suffer. Ask any experienced consultant and they will tell you that the typical starting point for any improvement initiative based on IT Service Management best practice is at the Service Desk, and the Incident Management process which guides its activities. The simple reason behind this is the fact that IT Support is a core, and most visible element of IT Service Delivery. Most organisations have a function in place to ‘fix’ things with some level of maturity. Improvements to this area are seen to be relatively quick to obtain with a high benefit to the business customer without requiring major organisational change – but critical to success are the people providing the customer support activities. Pink Elephant’s Service Desk & Customer Support service places the emphasis on the improvement, staffing and management of your customer’s single point of contact to IT. Lack of Career progression leading to………….. Most organisations today are completely dependent on IT to enable them to achieve their company vision, business strategy and goals. 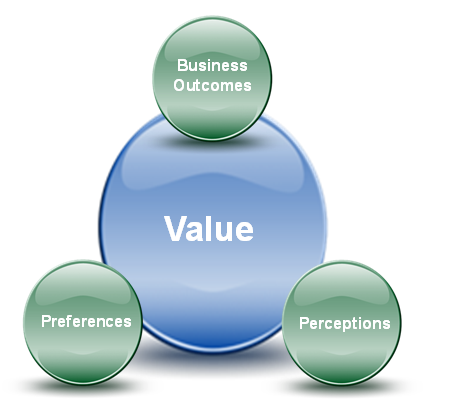 The quality of an organisation’s IT Services is reflected in its reputation and brand, and has direct impact upon sales, revenue, reputation and share value. Consider the high profile IT outages suffered by the UK banks in recent years! The cost of IT is never insignificant – it is therefore essential to get good value from IT investments, but often this value is not realised. For an IT investment to provide benefit, the resulting IT service must be well planned, well designed, well managed and well delivered. That is what the practice of IT Service Management is about. But to understand what Service Management is, we need to understand what services are, and how service management can help service providers to deliver and manage these services. A simple example of a customer outcome that could be facilitated by an IT service might be: “Sales people spending more time interacting with customers” facilitated by “a remote access service that enables reliable access to corporate sales systems from sales people’s laptops”. The outcomes that customers want to achieve are the reason why they purchase or use the service. The value of the service to the customer is directly dependent on how well it facilitates these outcomes. Service Management is what enables a service provider to understand the services they are providing, to ensure that the services really do facilitate the outcomes their customers want to achieve, to understand the value of the services to their customers, and to understand and manage all of the costs and risks associated with those services. A growing profession of people, skilled and committed to delivering high-quality IT services which bring measurable value for businesses. Good IT Service Management is essential to achieve business benefits from IT at an agreed and controlled cost. Without good IT Service Management, it is common for IT projects to fail or go well over budget at project stage, for ongoing IT costs of ownership to spiral out of control, for there to be high risk of IT outages, and for businesses to fail to achieve the benefits they expected. Effective Service Management is itself a strategic asset of the service provider, providing them with the ability to carry out their core business of providing services that deliver value to customers by facilitating the outcomes customers want to achieve. Adopting good practice can help a service provider to create an effective Service Management system. Good practice is simply doing things that have been shown to work and to be effective. Good practice can come from many different sources, including public frameworks (such as ITIL, COBIT and CMMI), standards (such as ISO/IEC 20000 and ISO 9000), and proprietary knowledge of people and organisations. Semalam habis duduk bareng dengan salah satu ITIL Expert, dalam diskusi singkat itu, maka semakin nyata mengapa dan sangat berharganya menjadi ITIL Expert, khususnya untuk perusahaan. Is getting to ITIL Expert level worth it? and why do 90% of people taking ITIL Foundation level training go no further? ITIL® (the IT Infrastructure Library) and its associated certifications have been around since the 1980s. Hundreds of thousands of IT professionals have benefitted from the training and ITIL certifications, but has the certification and training brought similar benefits to the organisations typically sponsoring these programs? 79% of people who had reached ITIL Expert level indicated that training and certification helped them to develop their skills so that they could better perform their job, and be more productive, and measurably helped the IT organisation improve overall productivity. 80% of ITIL Experts say that achieving this level of ITIL expertise led to better implementation of IT Service Management processes within their organisation. 91% of ITIL Experts state that ITIL advanced certification is a competitive differentiator. They say that the certification helps them gain confidence and makes them stand out amongst non-certified people. 83% of the respondents say that their expertise is more valued by management after they became ITIL Experts. 87% say their expertise is more valued by peers inside or outside the organization. Almost all the ITIL Experts stressed the importance of the training that was part of the certification experience. The training allowed them to develop a more comprehensive understanding of the value of good practices and increased their capability to lead improvement initiatives. IT Service Management is something that all IT organisations do deliberately or otherwise. If the purpose of the IT organisation is to provide a ‘service’ to the business, then IT Service Management is something that needs to be performed anyway. And if it needs to be done, then why not do it properly through qualified ITIL professionals? Through recent research, 160 ITIL Experts explained how they make significant contributions to the success of their organisations. If the research results are anything to go by, these IT professionals attribute much of this success to their ITIL training and certification in no uncertain terms, thus revealing the significant value of taking ITIL training further than just the Foundation level. The cost of reaching ITIL Expert level. Only having the ITIL Foundation level certificate is very restrictive, both for the individual and the organisation. For the individual, they will not be able to get the better roles they may wish, and in interview situations, would not be able to demonstrate the depth of knowledge perhaps required. In my role at Pink Elephant I have interviewed many potential consultants. I can categorically state that the people with the ‘Red Badge’ qualification – the old v2 Manager’s course – stand head and shoulders above the rest. Closely followed by the new breed of ITIL Experts. People with only Foundation level are simply not in the same league – even though they may have many years ‘practical’ experience. For the company, people with only a Foundation level qualification simply don’t have the competence to make ITIL realise all the benefits that it can give. It is still a fact that around 90% of people who have taken an ITIL Foundation qualification have progressed no further up the Certification scheme. The absence of full statistics from APMG makes it difficult to know whether this has been exacerbated by the transition to V3 – all the evidence seems to shows a relatively low take up of the Intermediate certificates. When one considers that Accredited Training Organizations could enter their trainers directly into the exams without attending training courses and that huge swathes have done all the Intermediate exams in order to be able to teach them, one wonders whether the real number of exam passes is distorted. The Foundation level, which is about basic understanding (Bloom’s 1 & 2), expressly states: “IT IS NOT INTENDED TO ENABLE THE HOLDERS OF THE CERTIFICATE [Foundation Certificate] TO APPLY THE ITIL PRACTICES FOR SERVICE MANAGEMENT WITHOUT FURTHER GUIDANCE”. It isn’t compulsory to attend a training course before taking the exam, so there are a significant number of people who take the exam through Prometrics or Pearson Vue, either after attending an unaccredited course or through some form of self-study. Interestingly, the statistics show that there is a distinct variance in pass rates between those who have attended an accredited course and those who haven’t. So clearly (good) training does help. The Foundation exam is designed to be passed by the majority of people since it is only the first step on a journey. So it is only a minor achievement for most candidates – 90% don’t continue on the journey. Although it is only a basic step, many people place an enormous weight to it; hence the queries: “I’ve passed my ITIL Foundation, what letters can I put after my name?” and the frequent claims about “ITIL certified” staff numbers. Having staff with only the Foundation level certificate does not give you competent ITIL staff in this context. Do organisations and individuals understand that by investing in a 3-day Foundation course the delegates are only gaining a basic awareness and NOT any capability? Does the market (i.e. employers) recognise and place any value on the Intermediate courses? Obviously not. Do potential interviewees, with only the Foundation Certificate, understand that when being interviewed by someone with any sort of extensive ITIL knowledge, they will be exposed. The fact that only 90% follow any further ITIL education is a very worrying statistic. Maybe we, as Authorised Training Organisations, should shoulder the responsibility of not educating the market, to the fact that the Foundation is simply the first step of the ladder. The course is certainly a necessity, and it does give a very good overview of IT Service Management à la ITIL, but from a 20,000ft view. Organisations shouldn’t think that sending people on the Foundation course will enable the attendee to come back to the workplace and be able to make ITIL realise the benefits it undoubtedly gives. We see many examples of organisations who train only to Foundation level, then don’t understand why they are not making the difference ITIL promises. We also meet many “ITIL Consultants” [Contractors] who have been placed by Agencies, (that know no better), in roles where they are employed to help the organisation adopt ITIL – and they are woefully ill-prepared. I was once introduced to an organisation’s “ITIL Guru” – this person had attended one of our Foundation courses two weeks earlier. Incidentally this Guru was working for a large Consulting Group helping this organisation to improve its IT Service Management. In answer to the question posed in the title of this paper: people don’t go any further than Foundation level because they think this is all they need, and that to go any further is too much of a commitment in time and money, and that the returns they would expect to get back from this commitment wouldn’t give them a decent ROI. This couldn’t be further from the truth, and a well thought out investment in ITIL training will reap benefits a hundred fold. The next release of ADManager Plus will feature enhanced user provisioning and re-provisioning templates with the option to configure user’s logon hours. This allows you to specify the desired logon hours for a new user, right when you create the account and use the single user modification feature to also set/modify the logon hours for any existing user. In the upcoming release of ADSelfService Plus, admins will be able to auto-enroll users for password self-service by importing their mobile numbers and email addresses in addition to Security Q&As via a CSV file or from an external data source. Options to customize the flow of Identity Verification process, and to use secondary email address and mobile number of a user for password expiry notification, reset password/unlock account, etc., are also in the works. As you are aware we decided to disrupt the lower end market by making the "ServiceDesk Standard Edition Free - both on-premise & on-demand" and get more users to start using ServiceDesk Plus. Earlier, Standard Edition of ServiceDesk Plus was free for 5 technicians. Moving forward it will be completely free with no restrictions on technicians, tickets or users. We are currently targeting the first week of March 2014 for the Big Announcement!